Situated in Zhejiang Province, Haining is a county-level city that lies 125km west of Shanghai and 61.5km east of Hangzhou. The city is best known to most for its booming leather industry and famous tide that can reach up to 9 metres tall. The latter draws tourists from around the world to this otherwise little-known city and makes it a unique destination for a teaching placement. 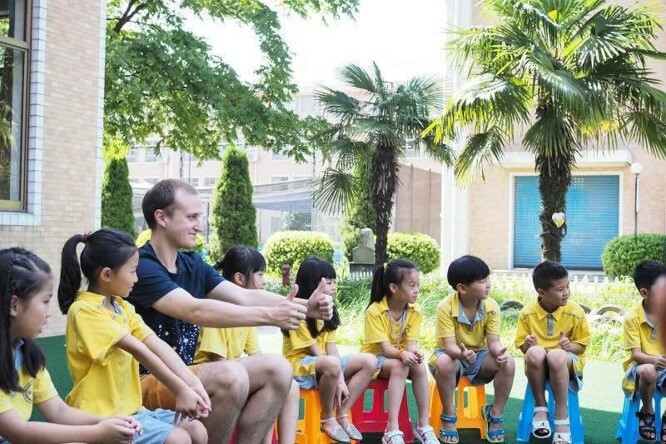 Home to a modest expat population, Haining offers teachers the chance to experience a more traditional way of life and greater exposure to Mandarin than offered in larger cities. Our Haining Summer Teaching Programme runs for 2-weeks from early July and is run by a long-standing partner school, which has received many teachers from us over the years. The camp takes place in a Primary/Middle School that specialising in teaching English to students aged 8-14. As a Summer Teacher here, you’ll be responsible for planning and leading lessons with the aim of improving students’ conversational skills. Following arrival in Haining, you’ll be given a syllabus and a schedule and paired up with a teaching assistant. Though your syllabus outlines what you should cover, you’ll have the chance to use your creativity and imagination to make your lessons a bit different. Classes consist of around 30-40 students, so you’ll find that your teaching assistant is a great help in executing your lesson plan. This person will also be your main contact throughout the placement and will help answer any questions that arise. 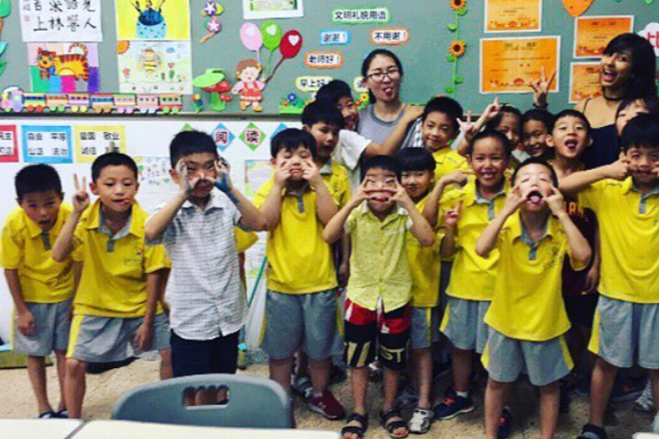 Summer Teachers in Haining will be expected to teach for a maximum of 4.5 hours per day. The schedule is formed of 3 lesson blocks, which are broken into 2 sessions lasting 40 mins each. Each session is followed by a short break, giving you and your students a chance to relax. Both food and accommodation are included in our Haining Summer Teaching Programme. You will stay in a nearby hotel for the duration of the placement, which is equipped with comfortable beds, a bathroom and air-conditioning. Our Haining Summer School is very fun and active, and there’s always something going on. Outside of class, students participate in various activities inlcuding water fights, basketball matches and dumpling making classes. Though participation is optional, we advise our teachers to join activities where possible to make the most of the experience. Outside of teaching hours, you’ll have plenty of opportunity to visit local attractions like Qiantang Tidal Bore, Guanchao Shengdi Park, Zaixiangfudi Street and Huili Temple. Following the placement, it’s possible to stay on and travel with the new friends you’ve made. Why not visit nearby Shanghai or Hangzhou, or even head further afield to Beijing, Guilin, Guangzhou or Xi’an! 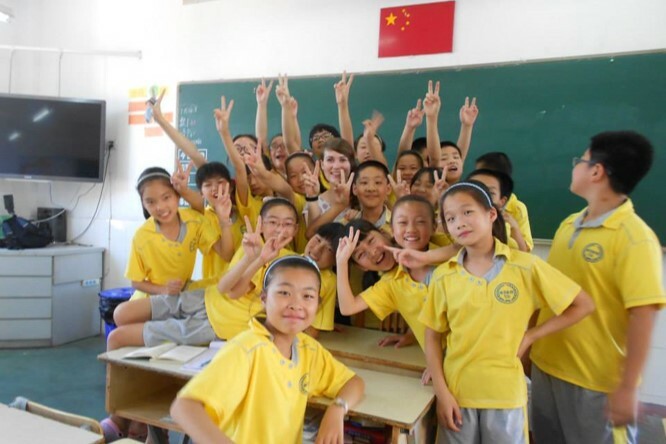 Interested in teaching English in Haining? Find out more about our Summer Teaching Programme, or apply now to start your summer adventure!